Chetu develops end-to-end intelligent mobile payment processing technology for secure data collection and reliable payment transfers suitable for every business model. 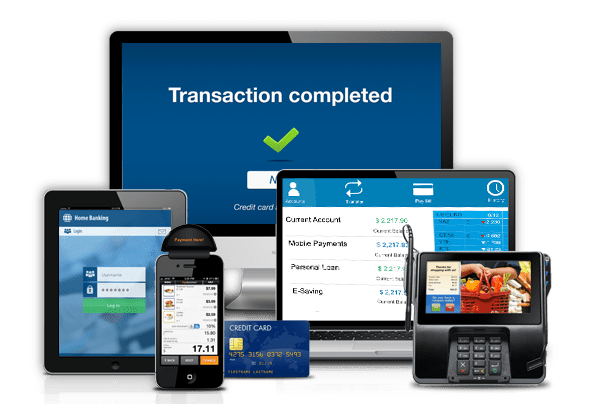 We provide native, web, and hybrid payments application development for mobile phones and tablets on Android, iOS, and Windows Mobile platforms. We create mobile applications for peer-to-peer (P2P) exchanges of payments using debit cards, credit cards, and bank accounts. We also integrate Bitcoin and cryptocurrency functionality into wallet apps. We offer custom e-wallet app development and integration services which leverage third-party platforms such as Google Wallet, Apple Pay, MasterPass, Neteller, and Paysafe. We engineer mobile wallet platforms for payments with debit, credit, gift, loyalty, and prepaid cards, plus custom integrations to third-party vendors such as MIDAX. Our developers integrate Near Field Communication (NFC), Quick Response (QR), barcode configurations, Bluetooth Low Energy (BLE), and Magnetic Secure Transmission (MST) technology to mobile payments applications and POS terminals. We customize NFC integration services utilizing existing APIs, platforms, and supported hardware. We build payment solutions for mobile apps with an open environment, custom integrations to CRM card-on-file platforms for shopping cart purchases, standing instructions, transaction view/reconciliation, access control, and bill pay. We also provide multichannel platforms for access to national and international payment options. We provide initiator, target, reader/writer, P2P communications, and card emulation software development for mobile devices, payment terminals, and other NFC platforms. We leverage third-party mobile POS software vendors, including Clover, Equinox, Ingenico, and CardFlight. We develop robust security protocols through fraud monitoring, tokenization, PCI-validated P2PE, EMV, Elliptive Curve Cyptography (ECC), data encryption, and others methods for Secure Elements (SE) and Host Card Emulation (HCE) platforms. Drop us a line or give us ring about mobile payments software development. We love to hear from you and are happy to answer any questions.